Volta Redonda's trademark is Companhia Siderúrgica Nacional (CSN), the second major steel-maker company in Brazil. Installed in 1941, it was a milestone in the industrialization of the country, played a crucial role in the independence of the municipality, and, at present, employs much of the Volta Redonda's population. However, the city's largest production is not steel, but art. The "Steel City" is a land of artists of all types and ages. 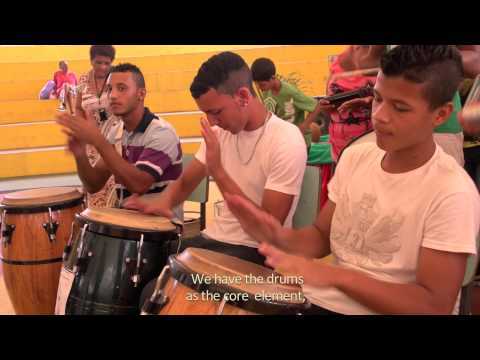 One of the veterans is the conductor Nicolau Martins de Oliveira, who created, in 1974, the project "Volta Redonda - Cidade da Música" (Volta Redonda - Music City), promoting musical education for thousands of people. Also in the 1970s, the art of theater was already strongly practiced in the city: the actor and director Bernardo Maurício enacted in 1978, while the country lived a period of dictatorship, a show that commemorated the 20th anniversary of the Declaration of Human Rights of the UN. He was arrested and sent to jail for 77 days, but did not give up and continues living there, training actors and critical citizens. The director's pupils conquer the roads and squares of Rio de Janeiro State: that is the case of Maksin and Fellipe, who created the MagníficaTrupe de Variedades(Magnificent Variety Troupe), a circus troupe, with other partners. The circus, actually, is another local highlight; there are clowns and magicians for all tastes. Rogyster is one of them ?his tricks are much appreciated, performed on stages or even on the streets. Rogyster also embodies Pipoco, famous clown in town. 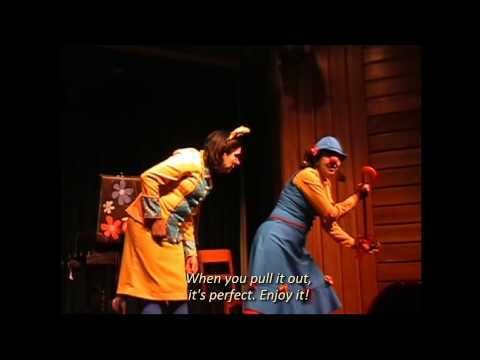 Comedy is also well represented by women: the clown trio As Bastianas shows that ?the red nose also matches skirts?. The list is long. Volta Redonda features a lot of export quality artists. The settlement of Santo Antônio de Volta Redonda was formed in the 19th century, amid the coffee crops development in the Paraíba Valley region, where, as the explorers had noticed already in the 1740s, the Paraíba do Sul River makes a turn. The first aspirations for thevillage?s autonomy arose in 1874, when residents pled the promotion of the area to thecategory of parish. Volta Redonda remained as district of Barra Mansa for many years. Political emancipation only came in 1954, after the installation, in 1941, of the CompanhiaSiderúrgicaNacional (CSN), the second major steel-maker company in Brazil. The construction of the plant, which was a milestone in the Brazilian industrialization process, brought major changes to the region. Writer Wanda Fabian, newly married to an engineer who was employed at CSN in 1943, witnessed the transformation of Volta Redonda into a workers city: "in taking possession of my first home, a charming cottage with a garden, I found ready the Workers Village and villages where the so-called 'arigós de panacho' (doctors, lawyers, accountants, engineers) loved. The professionals called 'arigós', from all corners of the country, especially the Northeast, helped erect the grand plant, which currently operates at full steam. Most of the villagers were young and newly married people. One could see here and there a lot of pregnant women. As people used to say: if you go to Volta Redonda (the name of the city means, roughly, 'round turn')... You might become round too". During part of the dictatorial period, from 1973 to 1985, the "Steel City" was considered a National Security Area. Nowadays, Volta Redonda remains an important metallurgical and steel center in the country. Address: Trabalhadores Avenue, 420, Vila Santa Cecília. Technology and Metallurgical Engineering), and the Institute of Mathematical Sciences (undergraduate courses: Computer Physics, Computer Mathematics, Technology Chemistry, and Chemistry; Continuing and Professional Education in Teaching Science and Mathematics; Master's and Ph.D. courses in Physics). Address: Desembargador Ellis HermydioFigueira Street, 783, Building A, Aterrado. Address: Desembargador Ellis HermydioFigueira Street, 783, Building B, Aterrado. Courses: Business Administration, Marketing, Management Information System, Technology for Industrial ProductionManagement, Industrial Maintenance Technology, Technology in Industrial Mechatronics, Technology in Human Resources, and Technology in Computer Networks, among others. Courses: Business Administration, Human Resources, Architecture and Urbanism, Life Sciences, Accounting, Computing, Social Communications, Technology in Environmental Management, Technology in Tourism Management, Law, Economics, Social Studies, Geography, History, and Literature, among others. Courses: Business Administration, Life Sciences, Accounting, Social Communications, Product Design, Graphic Design, Law, Physical Education, Nursing, Environmental Engineering, Medicine, Dentistry, Engineering, and Nutrition, among others. Founded on March 11, 2005, it currently features 35 chairs, six of which are occupied by deceased founders of the Academy, in memory. Comprised by writers, lawyers, journalists, and intellectuals of many backgrounds, the embryo of what would become the AVL already existed for some time before 2005, when writers would meet informally at the home of Mércia Christani, current occupant of the chair number 7. With the poet ManoelBandeira as patron, the Academy was created with the objective of promoting and exercising the Portuguese language and the Brazilian literature, irrespective of genres and styles. From 2012, AVL is responsible for the event "Roda de Leitura" (reading Circle). In its first edition, the book ?O Homem, As Viagens?, by Carlos Drummond de Andrade, was read and discussed. To join the Academy, the academic must have had published papers, must be appointed and pass a curriculum examination to finally be considered an "immortal". AVL has no headquarters, meetings are conducted at GrêmioArtístico e CulturaEdmundo de MacedoSoares e Silva-GACEMSS (Edmundo de MacedoSoares e Silva Arts and Culture Club), fortnightly, always on Mondays, at 7pm. Informations with MérciaChristani: (+55 24) 99903-9405/3342-8506/3345-9770. E-mail address: mercia.christani @ bol.com.